Cascade Mountain ski patrol was founded in 1962 as a non profit organization affiliated with the National Ski Patrol. 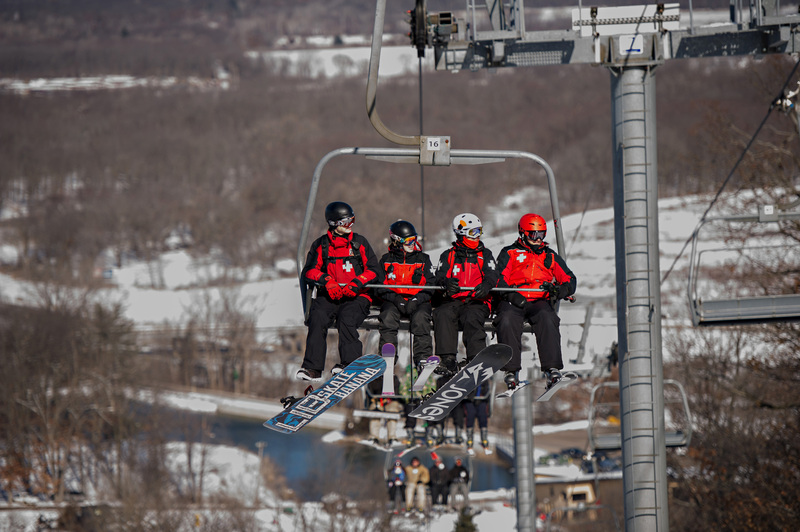 Cascade Mountain ski patrol works alongside the management of Cascade Mountain in Portage, WI to ensure that guests have a safe, and enjoyable skiing experience. We consist of 126 members who come from a broad array of backgrounds, professions, and experiences, but who all share a strong desire to ski and or snow board, and to help people. Patrollers benefit by learning and maintaining new skills in first aid and safety, improving their own skiing or boarding abilities, and making new friendships. If you want to find out more about what it takes to become a patroller, click here. Cascade Mountain Ski Patrol is committed to serving Cascade Mountain management by providing first aid to any guest needing and requesting it, by promoting safety education to the public and employees, and by monitoring, marking and possibly closing potentially dangerous areas to the skiing public.